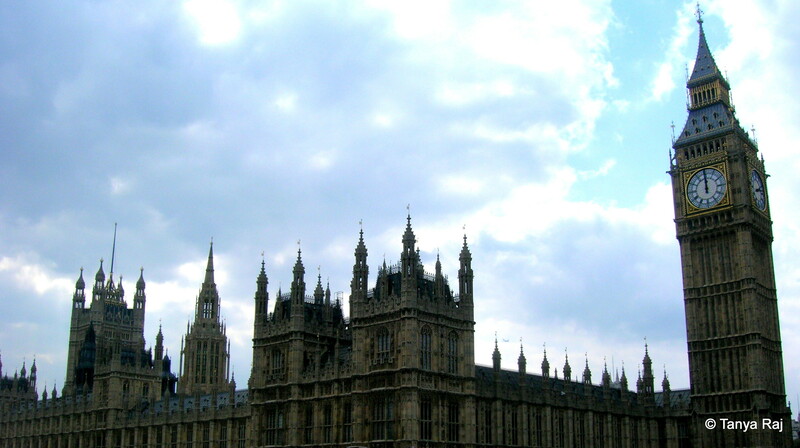 The mighty River Thames, that cuts across London is not only a prominent water feature of the city but also a cynosure of its art and culture. 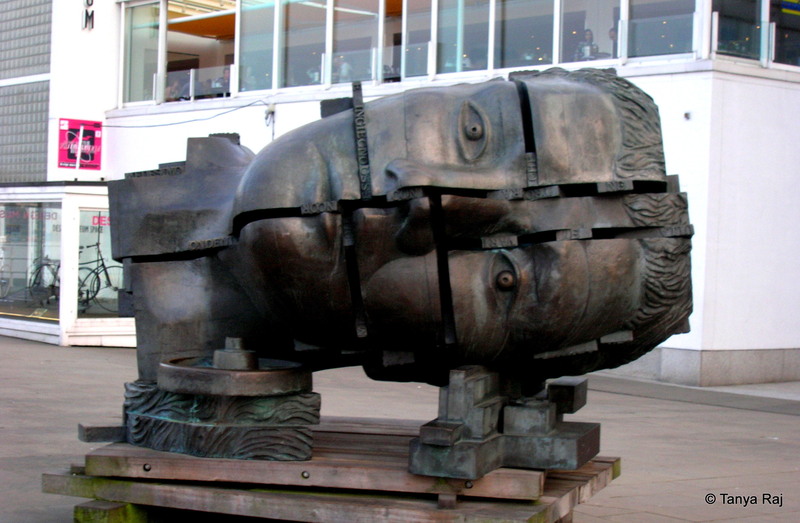 Take a walk down the Thames on the South Bank and you will find art installations and artists who all have a story to tell. Here I have put together some of those stories that I encountered on several of my walks over the many months that I called the city home. 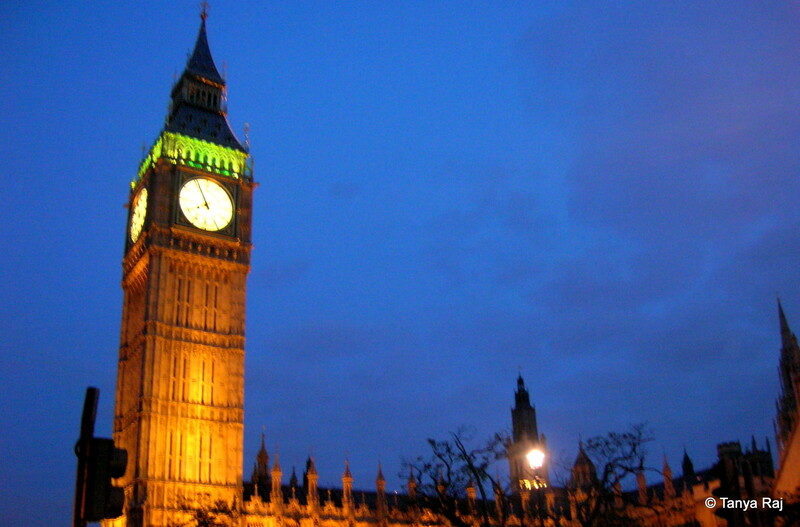 Undoubtedly the Big Ben and the Houses of Parliament remain the most recognised symbol for London. The lights in the in the evening give it a different charm altogether too. 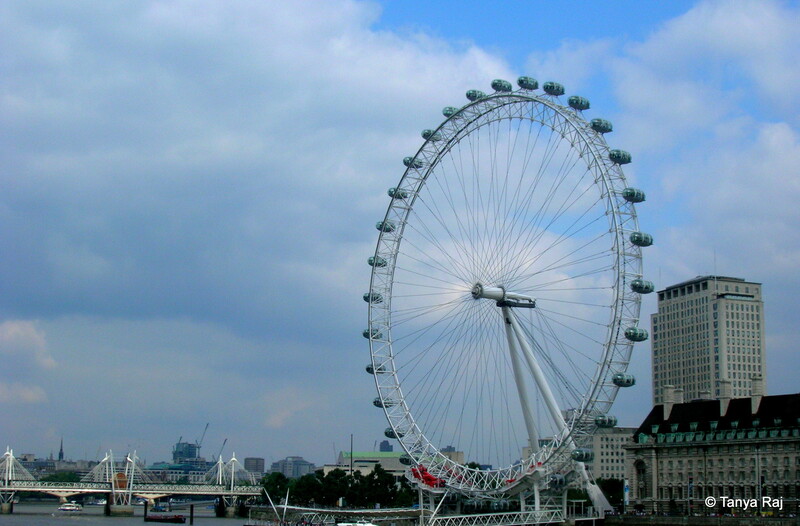 Standing at 443 feet, the London Eye completes a full circle in approximately 30 minutes and is a less tiresome way to get an all-encompassing view of the South Bank. 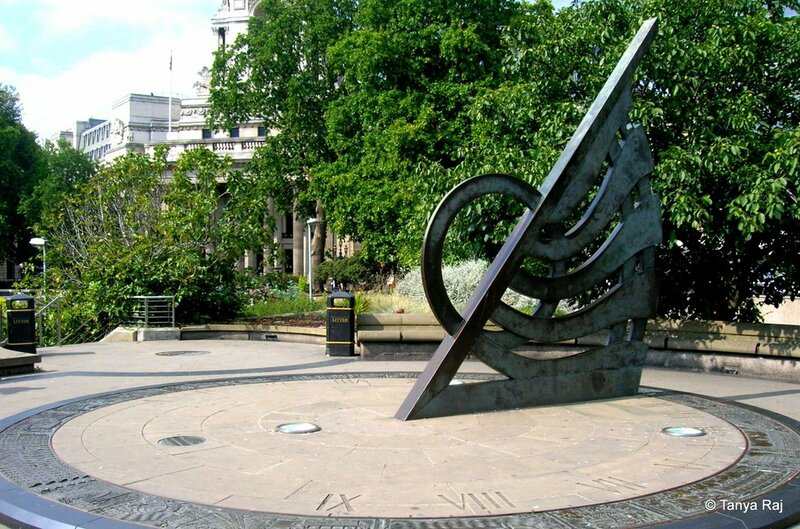 This large sun dial is located near the Tower Hill tube station and on rare occasions when the sun shines in the London skies, time prediction goes back to the medieval times. 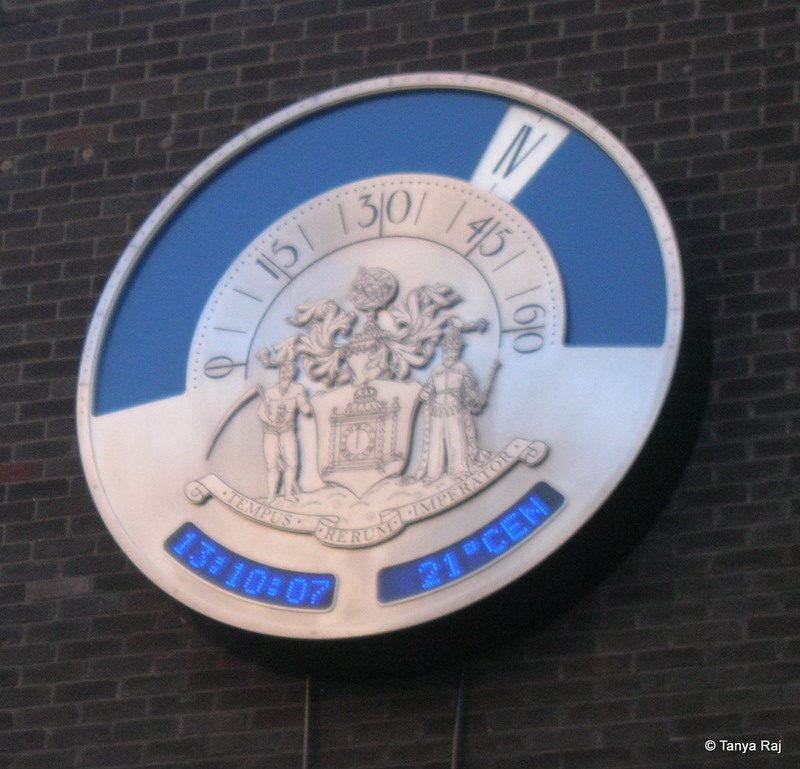 A more modern counterpart of the above, this mechanical clock can be found near the London Stock Exchange. I am still to figure out how to read this – the section below is quite self-explanatory, it is the section above that I still struggle with. 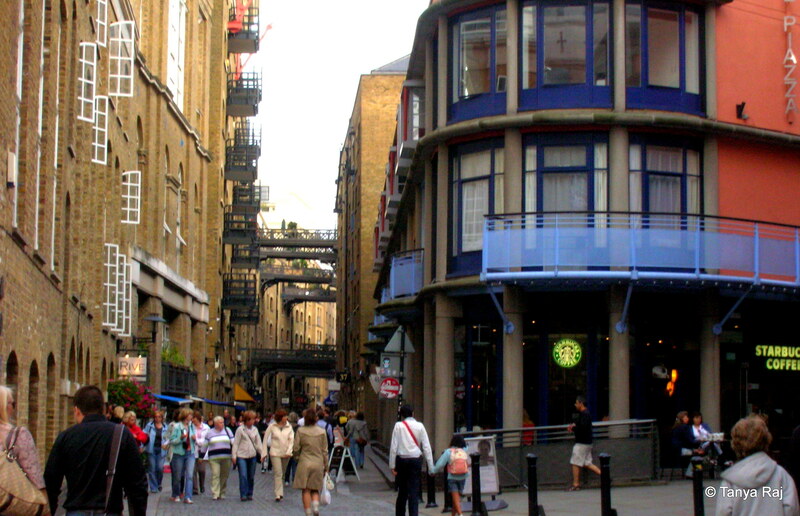 Quaint little by lanes like these house some of the best coffee shops to sit and enjoy a spot of people-watching or reading a book. 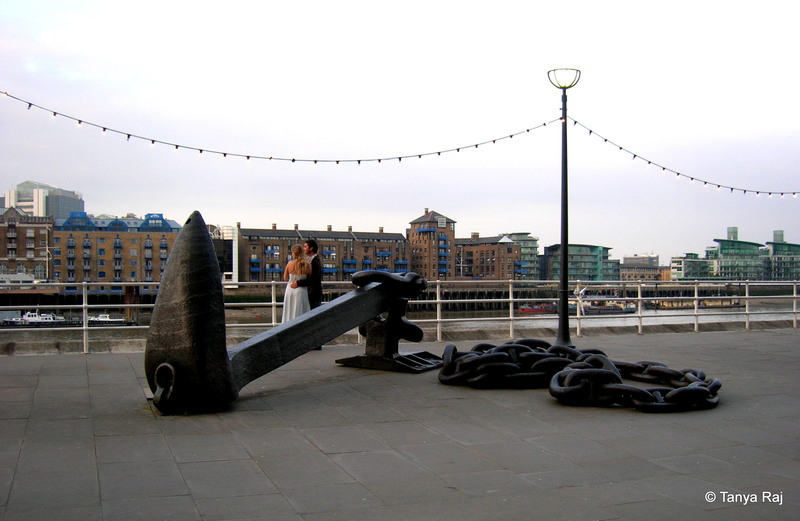 This was an absolute serendipitous capture, where I was concentrating on the anchor in the foreground and only later realised the newlywed couple in the background. They make the capture prettier though, I think. Mechanisms of the mind – there was something about this installation that really made me stop and admire it for a long time. 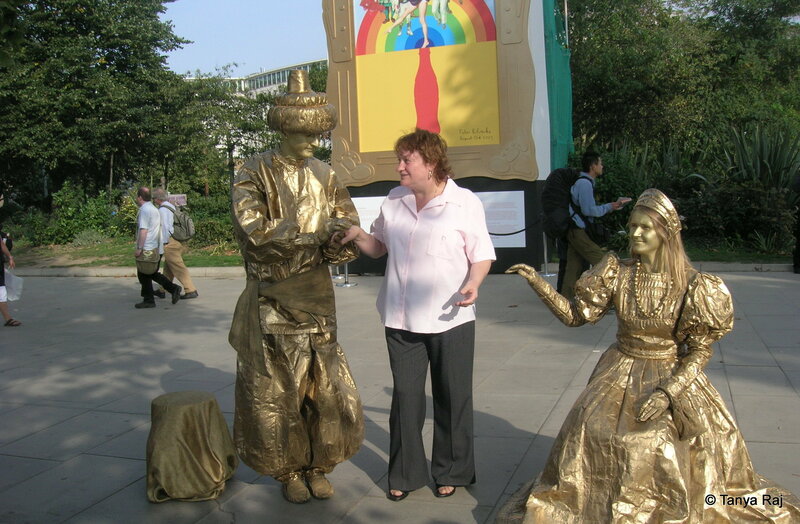 These street performers dusted in gold mentioned that it takes them over 2 hours every day to get ready for their act and around the same amount of time to get all that make up out each night. 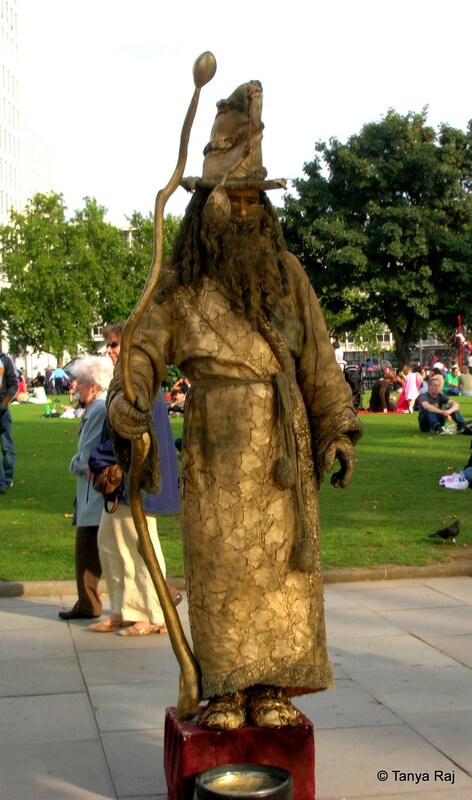 This street performer was extremely authentic and that small barricade around him added to his statue act. 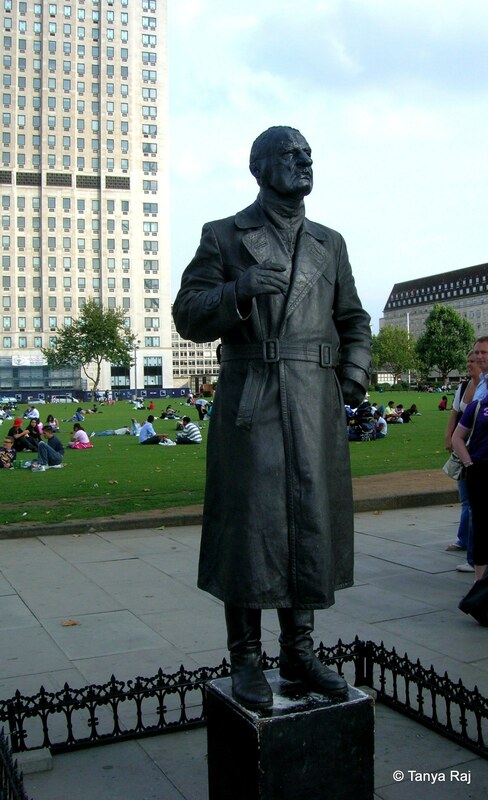 It was fun to see him move only when someone flipped a coin in his cap placed at the foot. What amazed me the patience to stand still all throughout the day; it is an amazing feat. 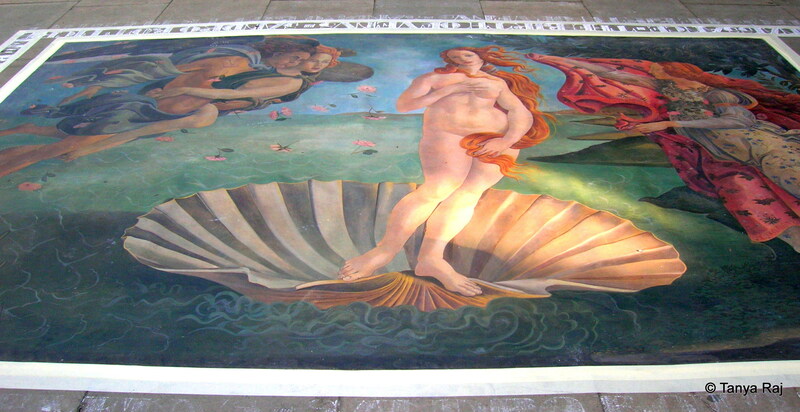 This artist had been working on the reproduction of ‘The Birth of Venus’ on the pavement for 8 weeks and the results here definitely looks marvellous. I am torn between deciding if it is Gandalf or Dumbledore and I didn’t have the heart to ask this gentleman in the middle of his work day. 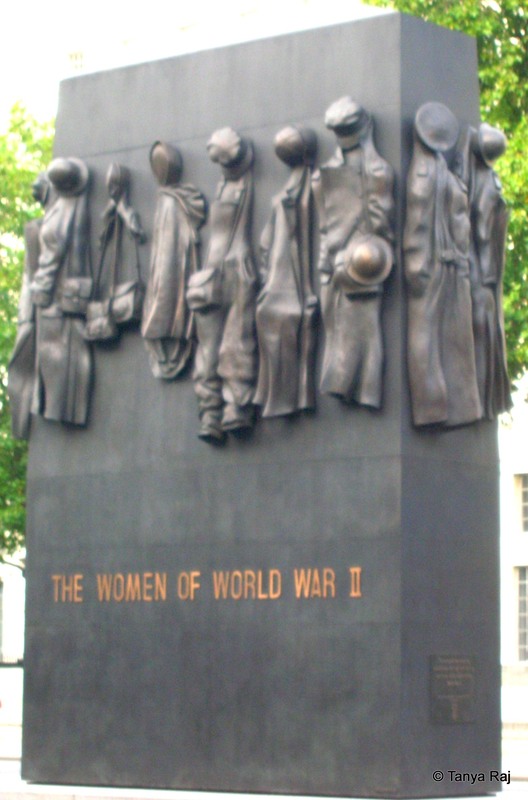 A memorial dedicated to representing the contributions of women during World War II, was sculpted by John Mills. 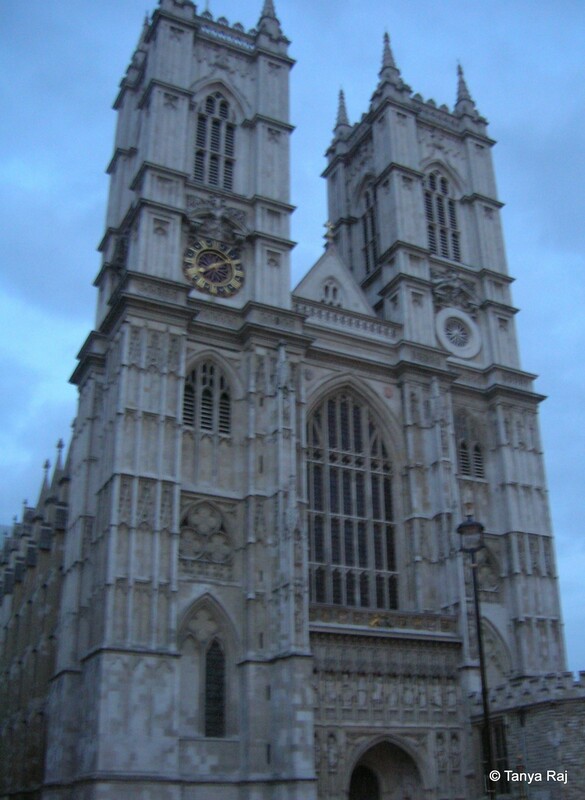 Westminster Abbey, the Gothic abbey church is the traditional coronation place for the British monarchs. Even though not the original theatre where Shakespeare performed his plays, this building as it stands today is a reconstruction of the original theatre and does justice to the Elizabethan style of architecture. 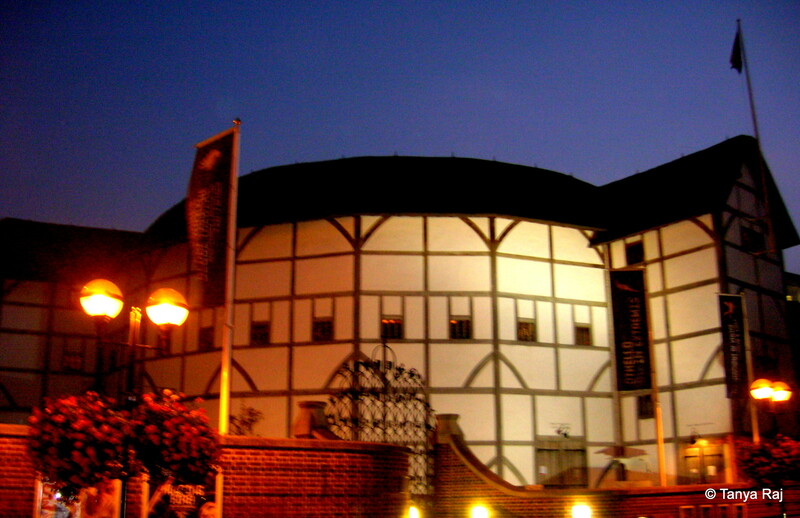 Watching a play here does transport you back in time and is something that every Shakespeare aficionado must do while in London. 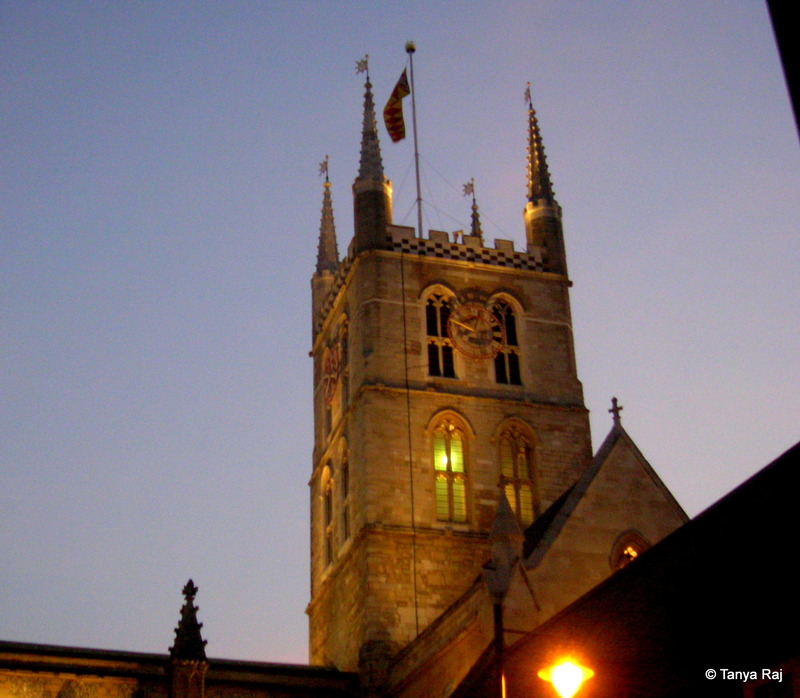 This Gothic and Gothic Revival style cathedral has been around for over a thousand years and has undergone many changes too – from being a nunnery, a priory, a parish, to a church and now a cathedral. This building was literally next door to my work place so one of the days with a couple of my colleagues during the lunch hour, we decided to climb its 257 steps to the Whispering Gallery and it was worth every bit of the effort. The view from the top to the interior of the cathedral is fascinating and breath-taking. 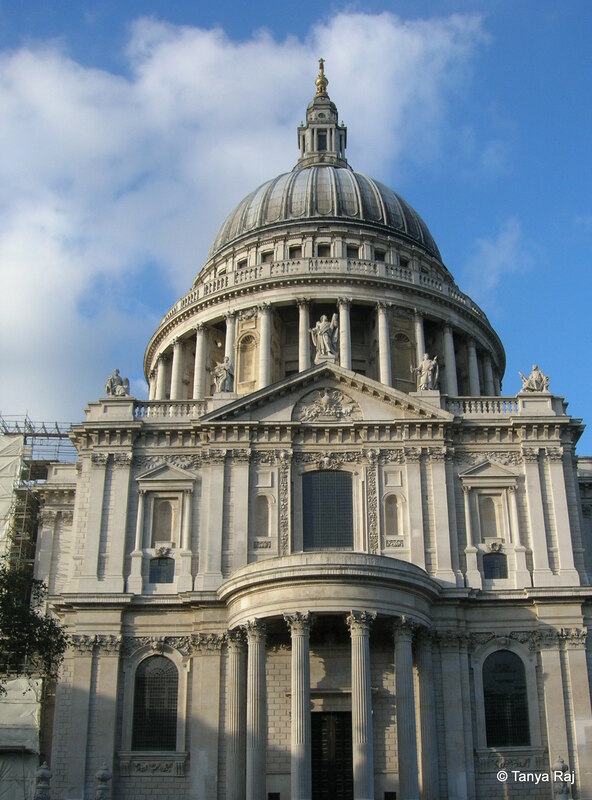 Next time, the aim is to get to the Stone and Golden galleries!